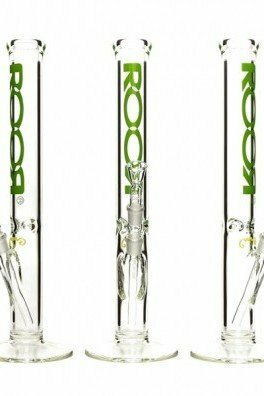 Let’s be honest, every cannabis enthusiast needs a decent bong. Nothing beats the smooth smoke of a good bong compared to the often harsh and hot smoke from a pipe or blunt. 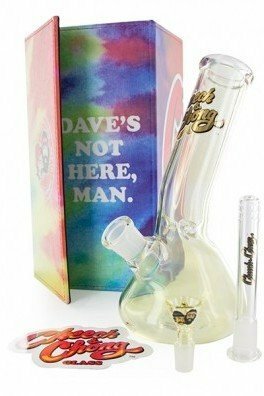 Here at Zativo, we offer a huge range of quality bongs, from simple but functional bongs made from acrylic or glass to elaborate bongs for the best smoking experience. We carry bongs in all price ranges, from affordable to luxurious, so you won’t have trouble finding a bong that’s right for you! The Acrylic Bong Clutch is practical, easy to use, and durable. 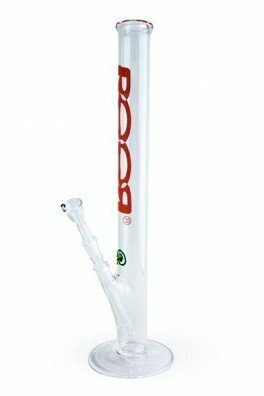 This cool bong has a rigged stem for an extra firm grip, so it won’t easily slip through your fingers. The Acrylic Bong Clutch is available in a range of eye-popping colors. 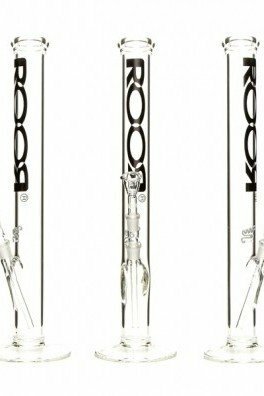 If you want to leave a lasting impression, this giant, acrylic bong with its whopping height of 52cm may be just the right thing! 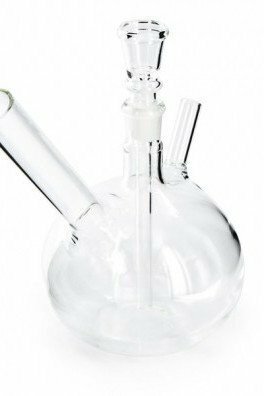 The bong is made from transparent acrylic and - despite the impressive height --stands firmly on a rubber base. It’s lightweight, easy to clean and affordable! This bong is bombastic and it delivers quite the bang! The Glass Bong Bomb reminds of the old brass bongs from back in the good ol’ days, with its extra big carb hole for extra deep and fast inhaling. 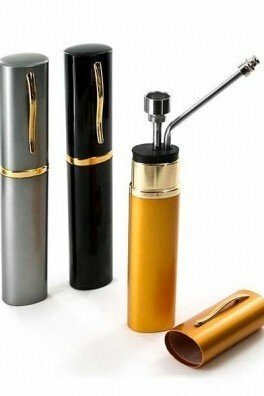 The piston diameter is 10cm and the bong’s height, including the chillum, is 18cm. This Glass Ice Bong will give you an incredibly smooth smoking experience! Just place some ice cubes in the additional upper chamber and cool your smoke to the max! It measures 38cm in height and the joint size is 14.4mm. Made from thick, transparent glass. 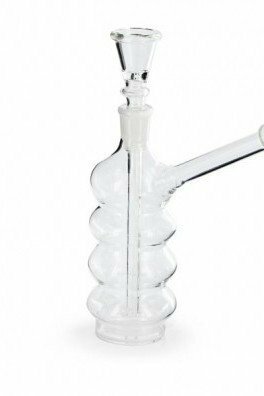 The Grip Glass Bong is an affordable, 17cm high glass bong with a perfect grip due to its four bulges. This small and handy bong also features a carb hole for some extra kick. The Glass Bong Space Pod has the shape of a space vessel or even an alien egg pod! It features a very long chillum that will make for an extra smooth smoke, so no worries about bursting from the chest with this one! The glass bong stands 38.5cm tall and has a wide base and a carb hole. A rather unusual and cool-looking bong, the Glass Bong Hit It has a unique shape, an extra long downpipe and a spherical intersection smoke chamber, allowing for some good swirling. You’ll get an added swirling effect while inhaling due to the carb hole, located off-center. The bong is 17cm tall. 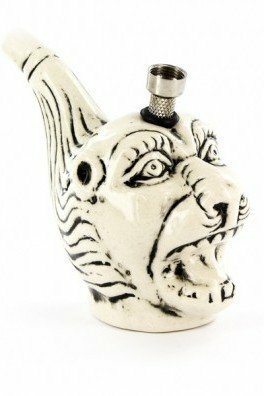 The Ceramic Bong Beast is a ferocious little piece of paraphernalia. If just one thing is for sure, it is that this bong will draw the attention of your friends with its animalistic look. Fill up the bowl, take a hit, and let them hear you roar! It measures about 9cm so it fits well in your hands.